There’s a new blog in Toledo and I’m pretty excited about it… and if you enjoy food you’ll love this! 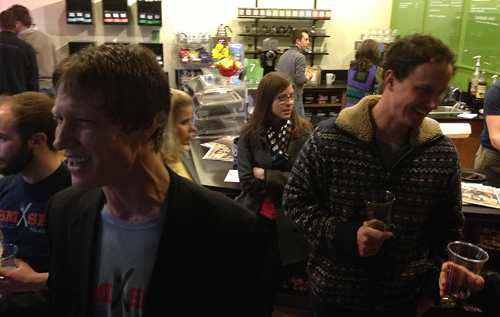 Plate 21 hosted a well-attended launch party for Smash Toledo tonight. 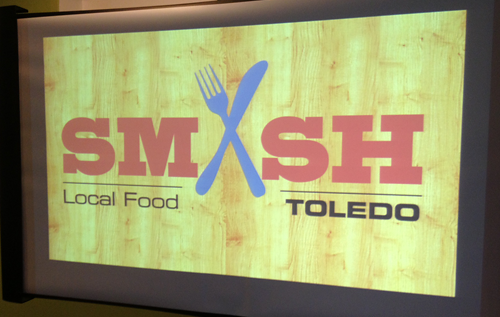 Smash is all about featuring the best of food and drink in Toledo with great tips from locals-in-the-know. The event was full of area foodies, chefs, and restaurateurs… most of them young! Which is such a great thing because this is the generation that is championing culture, life, and, yes, economic development in Toledo. 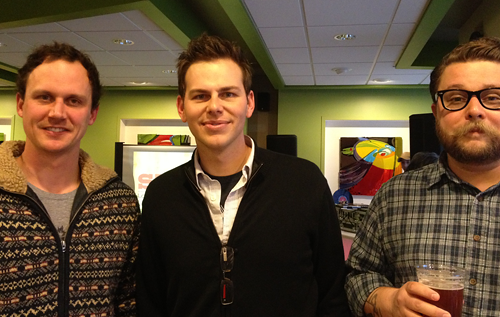 Pictured above: John Amato (of Jupmode), Joshua Wagy (Smash Toledo), and D! The highlight was a viewing of Smash Toledo’s video short featuring Barry’s Bagels—one of my favorite spots for a bite on weekend afternoons. I was happy to meet THE Barry tonight, but I am kicking myself for not using the opportunity to ask why their salt bagels have poppy seeds on them. Next time! The Barry Bagels video is featured on the Smash Toledo site right now, so check it out and be sure to bookmark the site for those dreaded “where do you want to eat?” moments. I know D. and I aren’t the only people that have those! Also, be sure to grab a cup of joe at Plate 21 next time you’re feeling caffeine-challenged. It’s such a great little coffee shop in South Toledo.